This week is pretty rough audio-wise. Kelly sounds like he joined via AOL and Mike eventually had to finish the show on his phone. We’ll be better next show. Well, the audio will be. Thanks to T. Scott for the heads up on this app! 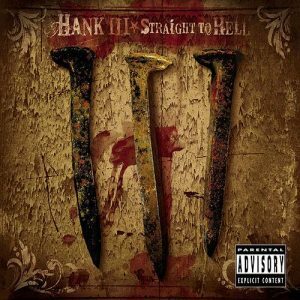 Mike recommends Hank William III’s third album “Straight to Hell” which is country music Mike can believe in. Please consider purchasing the online version of the album so you can get all the bonus material – you will be glad you did. FUN FACT: Wal-Mart refuses to stock the album. Kelly: @OfficialLYork – Awesome actress, most recently in 2Lava 2Lantula! Tagged Hank Williams III, Prisma. Bookmark the permalink.